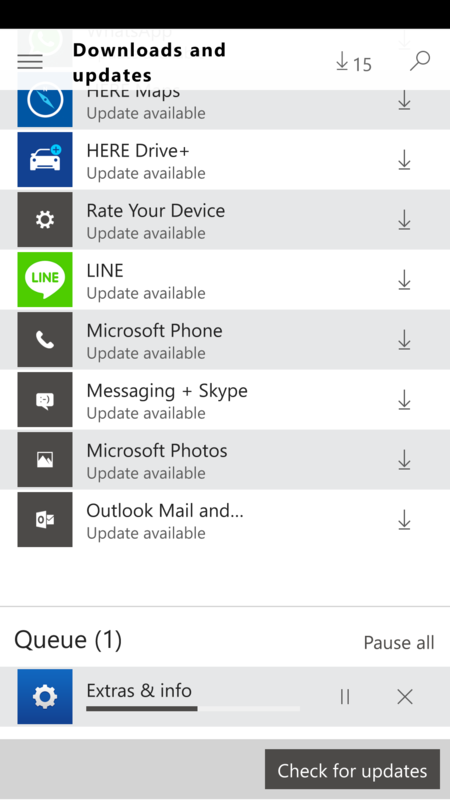 Today I received the new Windows Mobile 10 build 10581 from the fast ring Insider Preview. For me there were a couple of things that were really bad in de last couple of builds. 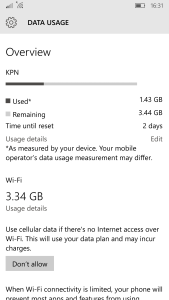 In the previous builds you were not able to set the data usage limit on a monthly schedule. After saving nothing changed. Also the Store and more precise, the download and update part was really bad. Some apps took forever to download and update or keep failing over and over. 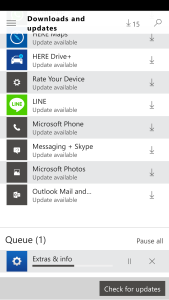 Good news with build 10581!! 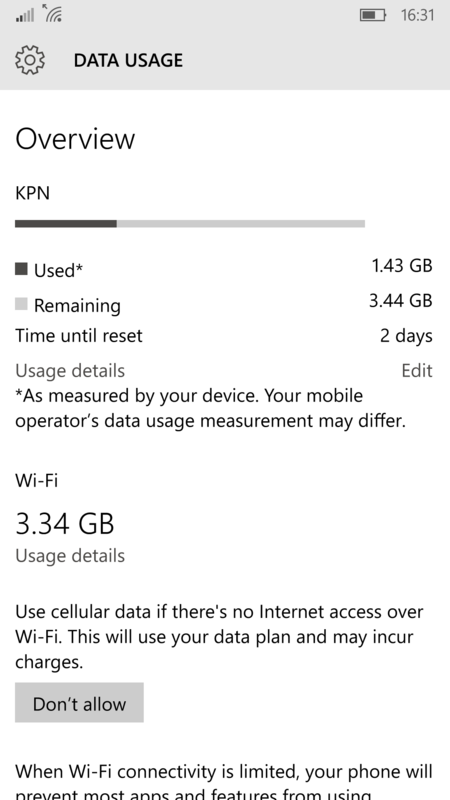 I can now set a Data usage limit on a monthly schedule.. yeah finally! Also the store really, really, did i already said really… improved a lot! One other thing I found out in the previous release some time ago was the ability to use GPS with multiple apps at the same time! With my old Lumia 1020 and Windows Phone 8.1 I was not able to use Here Drive and the Flitsservice app at the same time. Only the active app had a GPS signal the inactive one lost the signal.